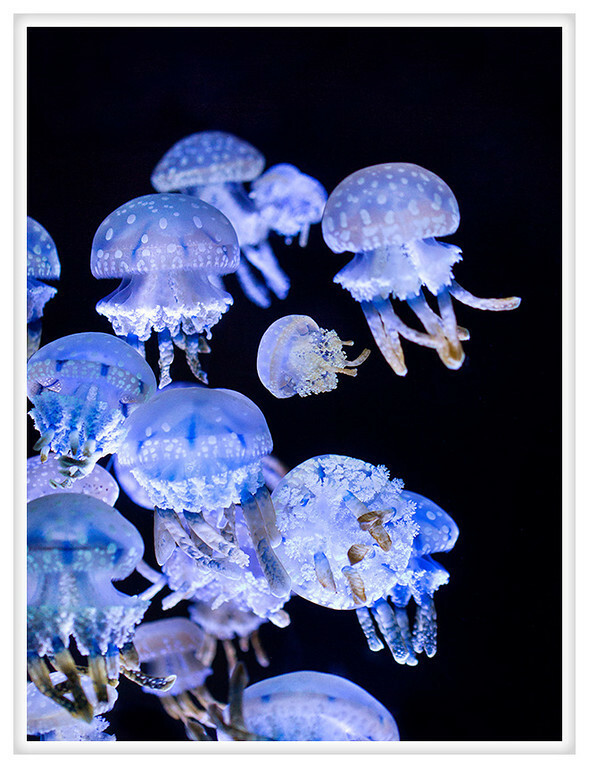 Everyone loves a good photograph of jellyfish. I am not sure why this is, maybe it is because they look like ethereal flying mushrooms or that their undulating acrobatics are hypnotic but they are always fun. I had the pleasure of going to the Portland Aquarium, a small private facility that is actually in Milwaukie. Honestly, it isn't great, they have it set up with a lot of touch pools which is great for kids but not for the animals. It is small but most of it looks well maintained and only a few animals showed signs of stress. Still, it wouldn't be high on my list of things to do again but I went with two three year-olds and their parents plus my mom who is in town for the weekend. The excitement of children helps to bolster a somewhat lackluster experience.